They are very helpful, and they upgraded our electrical panels to code specifications. I really liked the technicians who came out to help me. They were professional and courteous. The guys were very fun and great to have around doing the work. They did the work perfectly. I had some complicated things and they put it together perfectly. I thought they were great. They do what they say they're going to do, there are no extra charges, and they don't do any work that isn't authorized. He spotted some other electrical issues with my home that I wasn't aware of, and that was appreciated. They did a great job. 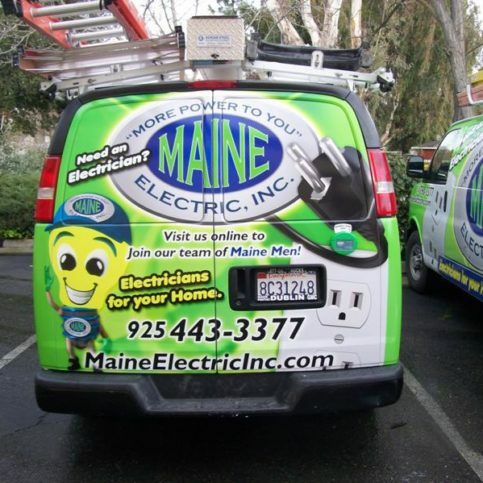 Maine Home Services is a full-service electrical and plumbing contractor that serves residential clients throughout the Bay Area. 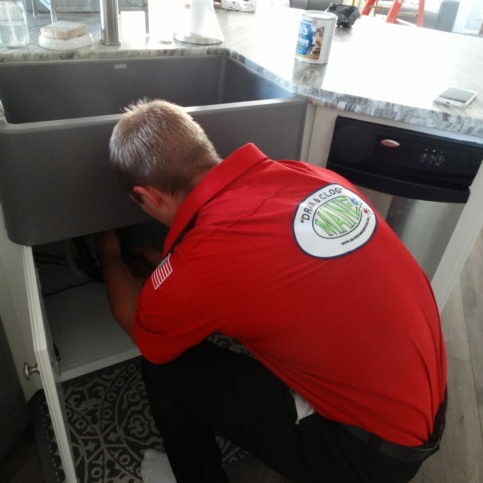 The company repairs and replaces a wide variety of electrical and plumbing systems in the home. 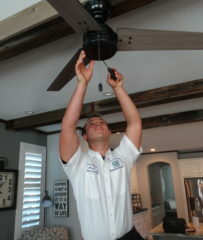 A Maine Home Services technician works on a customer’s ceiling fan. Maine Home Services is committed to safety. That’s why their electricians participate in weekly safety and training sessions and take ongoing courses in the latest technology. And all their technicians are fully certified electricians as required by California law. Maine Home Services starts building trust with their customers from their first interaction. Their uniformed technicians show up on time. They are committed to protecting customers’ homes by laying down floor mats so they don’t track in dirt, putting down drop cloths inside the home and wearing floor-saving boot covers during the entire visit. And before they leave, Maine Home Services employees clean up by using their own company vacuum cleaners. Customer homes are often even cleaner than when they arrived. 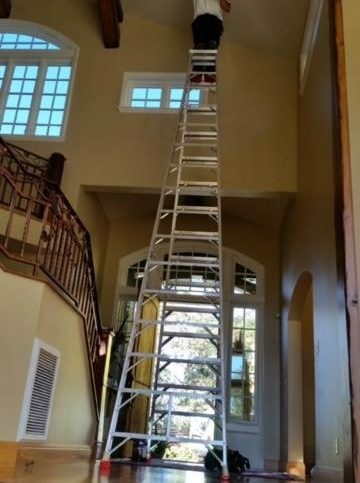 When it comes to choosing an electrician, think SAFETY first. Electrical work can put your home and your family in danger if it’s not done right, so it’s important to pick an electrical contractor who is safe, knowledgeable and skilled in electric repairs and installations. Unlike other service industries that may require only the principal of the company to be licensed, all electrical contractors must be certified by the state of California in order to do electrical repairs and new electrical installations. And when it comes to cutting-edge electrical technology, only a certified electrician can get you the newest, safest innovations. Mr. Mamola explains, “Most people sleep right through a traditional smoke alarm. But with voice-capable alarms, you can record your voice on them and it’s more effective in waking up your loved ones.” Mr. Mamola adds that an electrician can make life safer with other tools, including child-safe outlets and ground fault detection devices. Q: What if I need emergency electrical service? A: A live person answers our phones at all times, 24/7. We even have an after-hours emergency phone number, (925) 443-3377, so you can get help fast. Q: I’m nervous about having workers in my home. Should I be concerned? A: We never use subcontractors, so all of our electricians are employees of Maine Home Services who have been with our company since we started in 2004. Our electricians have all passed background checks, random drug testing and have clean DMV licenses. They’re state certified journeymen electricians, are uniformed and wear ID badges for safety. And they’re clean-cut and smell good. Q: What if I want to know how much the job will cost before you do any work? A: You’ll be glad to know we don’t charge an hourly rate. Instead, we have flat pricing that’s based on the job. Our prices are competitive and are well-worth the service we give. And the best part is you’ll know exactly how much the job will cost upfront. Q: What if one of your employees is injured on my property or damages something in my home? A: We are licensed, bonded, insured, and have workers’ compensation insurance that covers our employees. Electrical work is what we do 100% of the time. We know what we’re doing and we know how to do it safely, so you don’t have to worry. And we know how to take care of our customers’ homes. We use entry carpets before we enter the premises, and we put down drop cloths and wear boot covers while we’re in customer homes. 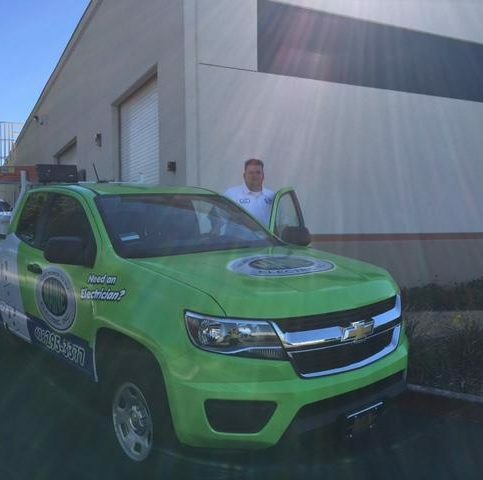 All of our technicians even carry vacuums in their vehicles so they leave your home clean. Q: You also do solar installations. Why should I go solar? A: The benefit of solar is controlling your investment in electricity now and in the future. With solar, you’re conserving energy. And because prices will always go up, you’re also controlling the price of your energy so that it stays at one level. 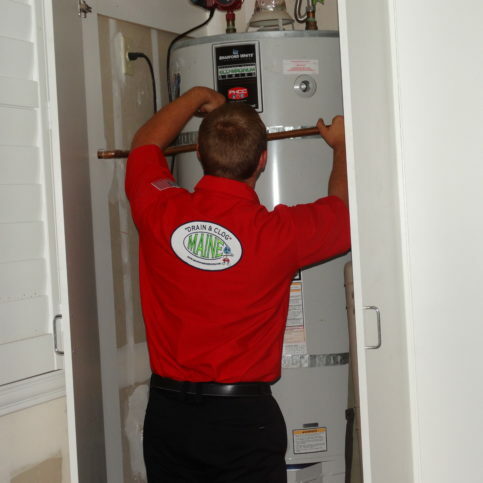 Maine Home Services can also help with troubleshooting. Maine Home Services is a full-service electrical contractor. Maine Home Services’ technicians are fully equipped to handle all types of electrical work. 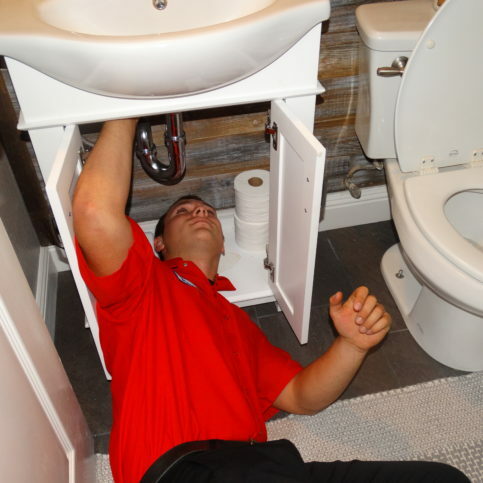 Maine Home Services uses the right equipment to work on difficult-to-reach areas. 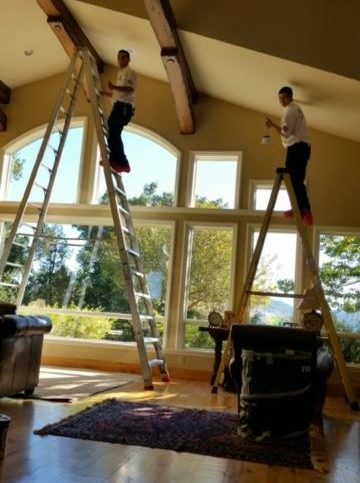 Two Maine Home Services technicians perform a lighting installation. Scott Mamola is a 23-year veteran of the electrical industry and owner of Maine Home Services, a Diamond Certified company since 2006. He can be reached at (925) 231-0744 or by email. LIVERMORE — Scott Mamola may have begun his professional life as a construction hand, but it wasn’t long before a related trade sparked his interest. “After working for a while as a laborer, I started to notice the electricians on the jobsites,” he recounts. “They didn’t look quite as beat up as us laborers, and their work seemed a little more technical. Plus, from what I gathered, they made better money. All things considered, I decided it would be a good trade to get involved in.” After earning his electrical certification in trade school, Scott gained industry experience working for a couple of electrical contractors before obtaining his contractor’s license and starting his own business. A: A dog person—I have a black lab. A: Tracy Thai Restaurant in Tracy. A: I really like talk radio, especially NPR and all the stories they have. When I’m listening to that, a three-hour drive can feel like 20 minutes. A: My Green Machine, which was basically a combination of a bike and a big wheel. 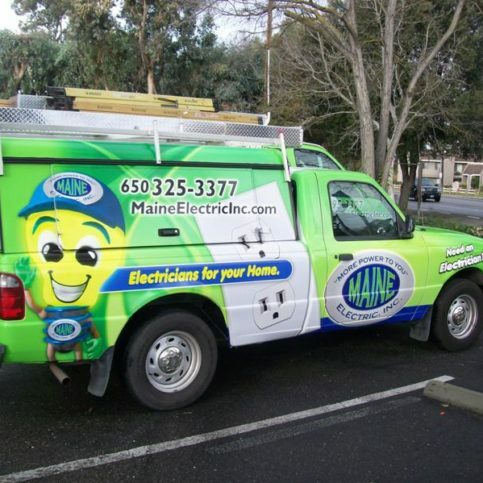 LIVERMORE — If you live in an older home and have never looked at your electrical panel, it’s time you did. Why? There’s a chance your entire electrical system is relying on a defective product. Despite advances in circuit breaker technology, many older homes still have their original electrical panels. However, in some cases, this isn’t merely an energy efficiency issue—it’s a safety issue as well. Certain brands of discontinued panels (most notably Federal Pacific and Zinsco) are still present in homes across the United States, despite having lost their UL listing and being known to be defective. One of the biggest problems seen with these panels is when their circuit breakers fail to register dangerous conditions such as shorted or overloaded circuits, which stops them from tripping when they should. Since circuit breakers are your first line of defense against electrical hazards, if yours aren’t working properly, it leaves your family and home susceptible to a significant safety risk. To avoid this, look inside your panel and make sure it doesn’t have a Federal Pacific or Zinsco manufacturing label. If it does, have a professional electrician come out and replace it. 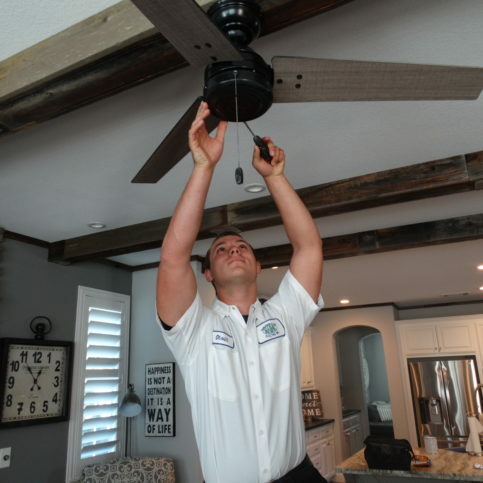 LIVERMORE — During the summer and winter, the need for cooling and heating your home requires larger amounts of power to be drawn through your electrical system. If you experience electrical problems like tripping circuit breakers or flickering lights, these problems will only be amplified during these hotter and cooler months, which increases the risk of overheating and creates a dangerous situation. So, don’t ignore electrical problems in your home—get them taken care of before they become a hazard. LIVERMORE — Host, Sarah Rutan: You may not realize it, but your home’s electrical system could be relying on a defective product. To learn more, we’re in Livermore with Nery Sanchez of Maine Home Services, speaking on behalf of Diamond Certified Expert Scott Mamola. Diamond Certified Expert Contributor, Nery Sanchez: My recommendation for any homeowner is to check their panel. The service panel coming in is the actual box coming from the utility companies. If you have a Federal Pacific or Zinsco panels, those panels, they actually, they’re defective. You know, they don’t, the circuit breakers, they don’t trip. The first safety in the electrical house, it’s your circuit breakers. And if your circuit breakers don’t trip, that could be a fire hazard. LIVERMORE — Host, Sarah Rutan: If you have flickering lights or tripping circuit breakers, it’s probably time to upgrade your home’s electrical system. To learn more, we’re in Livermore with Chris Garcia of Maine Electric, speaking on behalf of Diamond Certified Expert Contributor Scott Mamola. Chris Garcia: Today’s expert tip involves power consumption in your home during the winter and summer months. During these months we want to keep our house cool and we want to keep our house warm. This leads to larger amounts of power being drawn through your electrical system. Should you have any type of tripping circuit breakers or flickering lights, these problems will only be amplified by these hotter and cooler months. Do not ignore these problems. Get them taken care of before they become a hazard. And that’s your tip for today. Maine Home Services : Average 9.2 out of 10 based on 426 unique customer surveys of customer satisfaction. I think that they are very good. I thought they were professional and responsive. They were on time and answered any questions that I had. They were very helpful and gave their time to listen to me. The guy was very professional and went right to work. At the time, they accomplished everything that I had hoped for. I'm looking forward to doing another project with them. I would highly recommend them. They have an extensive skill set, and their team is great. They were able to get things done in a timely manor. I thought the guy who came out was able to do a lot of things that we needed. The price was right, and things have been fine. They were prompt and came out when they said they would. I would recommend them, as I have in the past for a couple friends who needed some electrical work. They have done good work for all of us. They were upfront about their prices. That they are very professional, and they know what they are doing. They are professional, and they know what they are doing. I would say they were very professional, had good quotes, and they were quick to do the work. I was very impressed with them. I would recommend them. They did a good job. So far, what they have done for me is okay. He was very prompt and trustworthy. He explained my issue very clearly. They are very personable, good at their job, and they communicate well. Their communication, the fact that they got back to me quickly, and they communicated what they did very well.